Graphic Design Solutions is the most comprehensive, how-to reference on graphic design and typography. 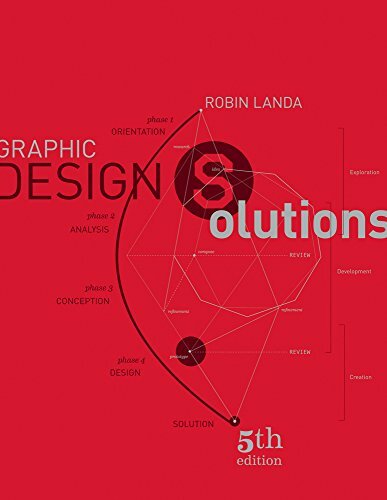 Covering print and interactive media, this book examines conceiving, visualizing and composing solutions to design problems, such as branding, logos, web design, posters, book covers, advertising, and more. Excellent illustrations of historical, modern and contemporary design are integrated throughout. The Fifth Edition includes expanded and updated coverage of screen media, including mobile, tablet, desktop web, and motion as well as new interviews, showcases, and case studies; new diagrams and illustrations; a broader investigation of creativity and concept generation; visualization and color; and an updated timeline. Accompanying this edition, CourseMate with eBook brings concepts to life with projects, videos of designers in the field, and portfolio-building tools. Additional online-only chapters--Chapters 14 through 16--are available in PDF format on the student and instructor resource sites for this title, accessed via CengageBrain.com; search for this book, then click on the "Free Materials" tab.